HeinOnline implemented research tools and concepts that will help both novice and experienced researchers make the most of its content. Using natural language processing and machine learning tools, combined with custom concepts specific to HeinOnline’s incredible scope and range of content, the team aims to vastly improve discoverability of relevant content. Two new tools have already been introduced in the Law Journal Library, with plans to expand their reach to all other HeinOnline content. More Like This uses a program which finds “interesting words” in an article, as determined by an algorithm that analyzes the article’s text. 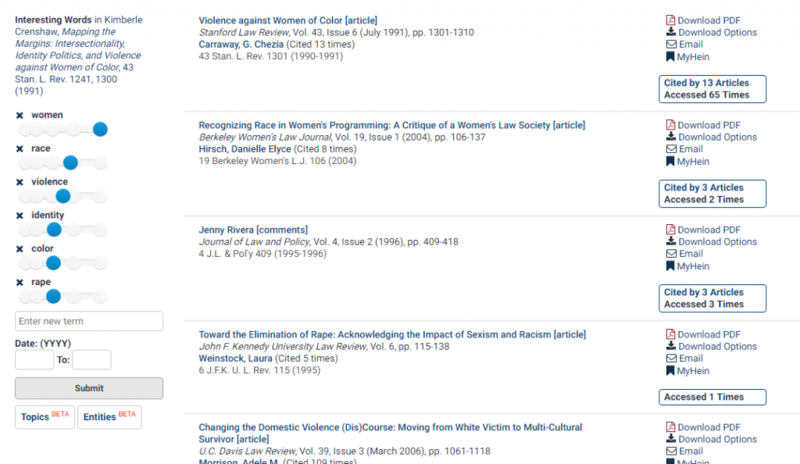 For example, let’s take a look at one of the 100 most cited articles in HeinOnline: Mapping the Margins: Intersectionality, Identity Politics, and Violence against Women of Color from volume 43 of the Stanford Law Review. Click the More Like This button from within this article to view similar articles based on the interesting words found in the original article. To see this tool in action, add the word politics to the list of interesting words. Boost it, and then lower the boost factor for the words women and race. 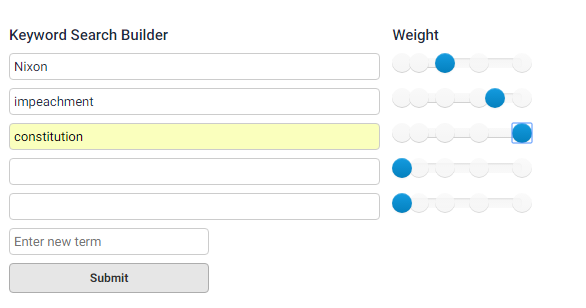 From within the More Like This tool, check out the Topics and Entities buttons. Click Topics to see a list of article subject designations applied to the article based on similar articles which are already categorized. Click Entities to see a list of locations, people, and organizations mentioned in the article as well as the number of times they are mentioned. 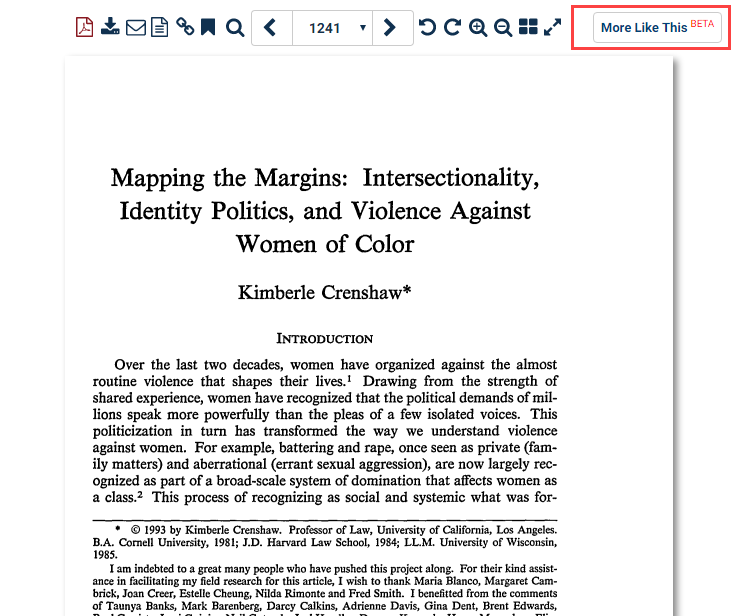 This information helps HeinOnline to accurately categorize articles and other documents in HeinOnline to enrich article metadata and improve searching and discovery, as well as to extract entity information for additional searching options. 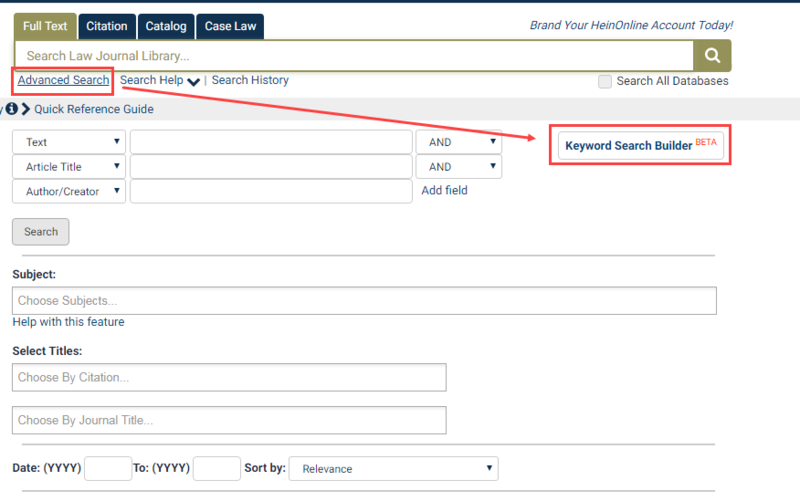 The Keyword Search Builder is currently located within the Advanced Search tool in the Law Journal Library, with plans to expand it to all HeinOnline content. Enter keywords into one or more boxes and use the boost levels to give more weight to the most important terms in the query.